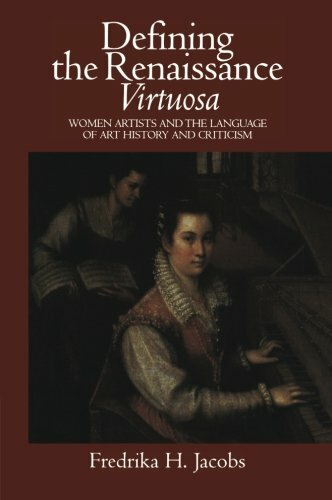 Defining the Renaissance "Virtuosa" considers the language of art in relationship to the issues of gender difference through an examination of art criticism written between 1550 and 1800 on approximately forty women artists who were active in Renaissance Italy. Fredrika Jacobs demonstrates how these theoretical writings defined women artists, by linking artistic creation and biological procreation. Jacobs' study shows how deeply the biases of these early critics have inflected both subsequent reception of these Renaissance virtuose, as well as modern scholarship.